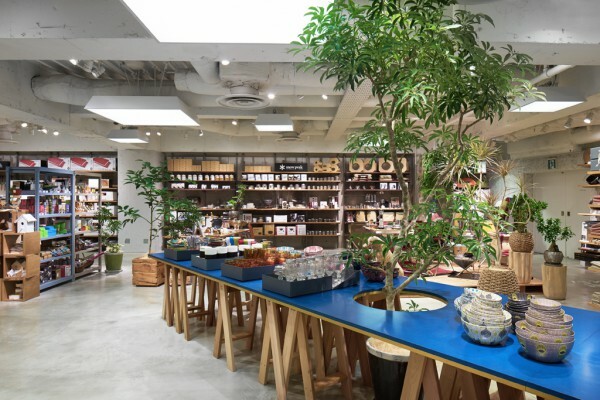 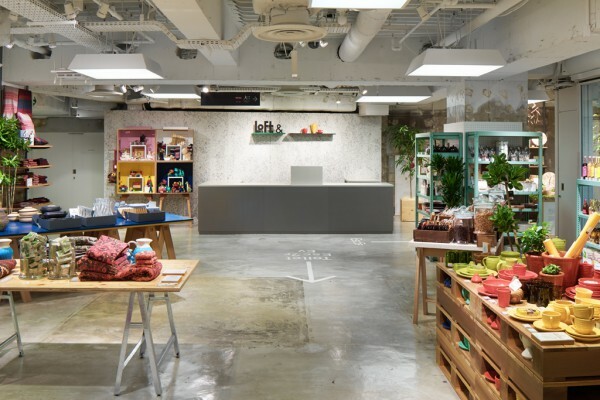 During the renovation of the Shibuya Seibu Movida Annex, we renovated the public area and performed the interior design for Loft's new offshoot store "LOFT&" (Loft And) that will be opened on floors 6 and 7. 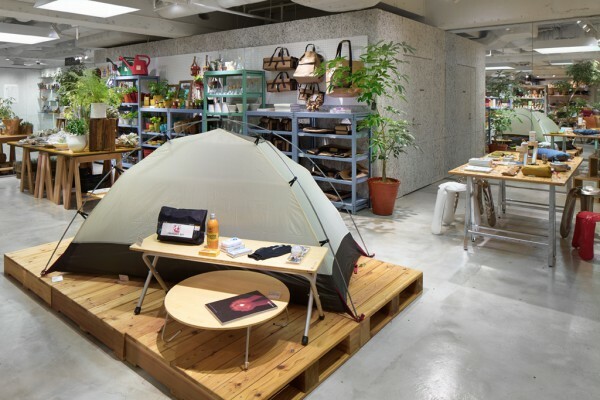 The first floor of LOFT& showcases a variety of outdoor products designed for a "natural lifestyle", while the second floor houses a collaborative space to engage with creators, an event space and a digital workshop, etc. 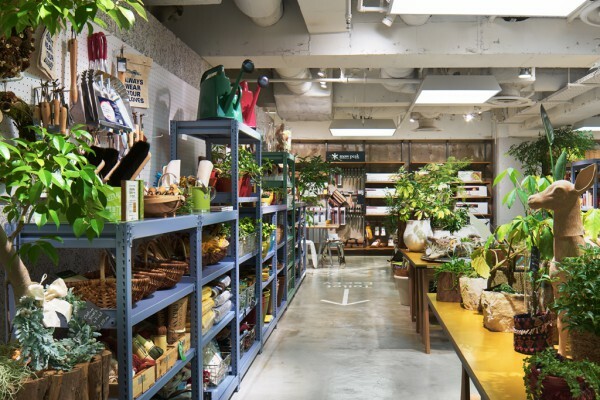 Inspired by the store's concept, we strived to create an environment centered on creative product development that is constantly changing and has a feeling of immediacy, such as one can find on a factory floor. 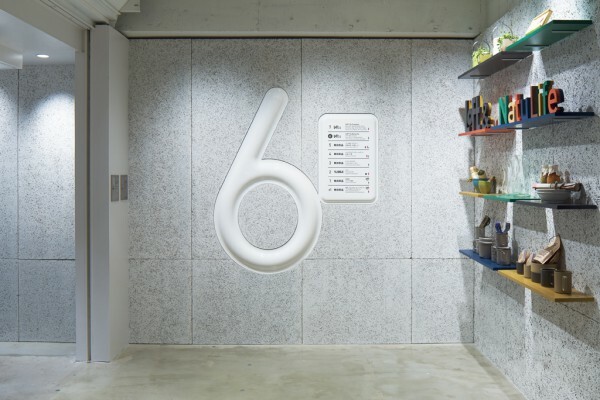 We also sought to capitalize on the expressivity of the existing building's frame by placing signs directly on the building frame face to give the space an unfinished appearance. 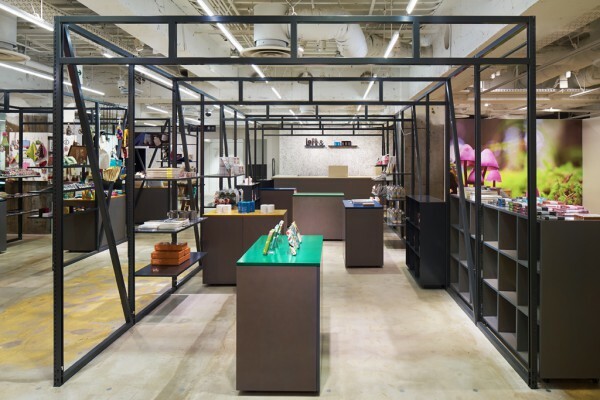 This theme is also expressed in product display with the use of multi-purpose steel fixtures and two-part display shelves made of legs and tabletops that are separable. 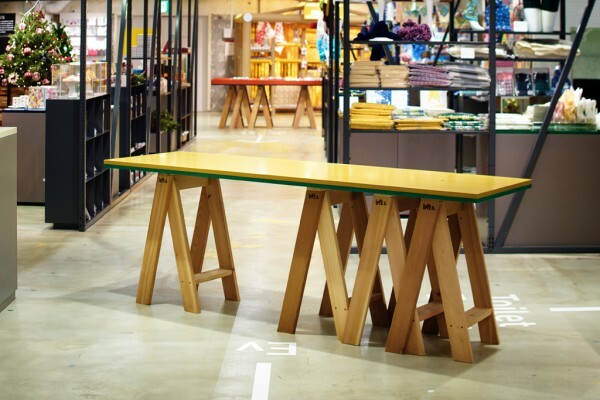 The flat display shelves scattered across the floor are made by pressing two MDF boards of different color together and combining the resulting colorful tabletop with "AA High Stools" by Ishinomaki Laboratory. 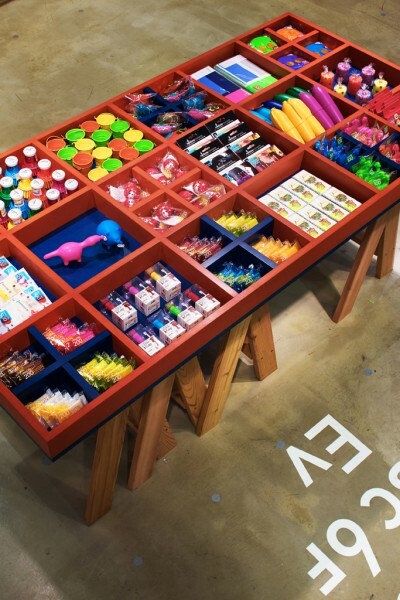 These tabletops are thus reversible and their colors can be alternated to match the products on display. 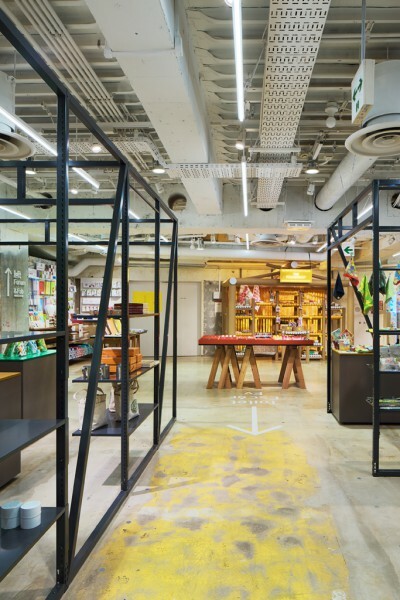 Furthermore, by placing the display shelves up for sale and allowing the new to replace the old, we aim to create a dynamic store that is constantly being renewed. 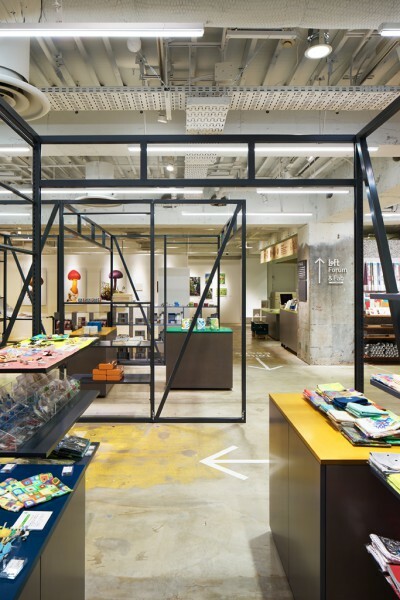 The facade of the store, consisting of setback surfaces from the existing wall, greatly emphasizes the entrance with colors and functions as a gate that draws pedestrians in. 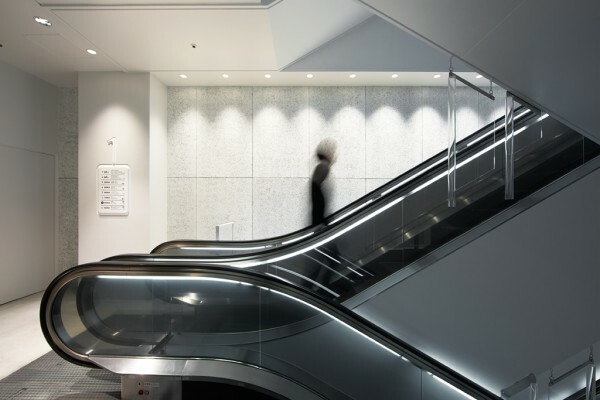 While the cemented excelsior boards in the escalator area bring unity to the whole annex, the displays and signs provide plenty of variety by reflecting the character specific to each floor.